Dr. Michael J. Hoffmann received his dental degree in 1988 from The University of Texas Health and Science Center at San Antonio. He completed residencies in Hospital Dentistry and Dental Anesthesiology and is currently the only St. Louis area general dentist certified in Deep Sedation and General Anesthesiology by the Missouri Dental Board. He is a diplomate of both the American and National Dental Boards of Anesthesiology. Dr. Hoffmann is very active in organized dentistry. He is a Past President of the Greater St. Louis Dental Society and a member and chairman of various committees at the state and national level. He is a member of the faculty at Forest Park Community College and is on staff at Mercy Medical Center where he lectures to residents on anesthesia protocol. He also continues to educate his colleagues and their dental teams on safe oral sedation in their own private practice. In his spare time, Dr. Hoffmann enjoys Crossfit training, researching the Paleo Lifestyle, hunting, coaching his children, boating and barbequing. He resides in Kirkwood, Missouri with his wife and four children. In 1991, Dr. Hoffmann opened a state of the art dental facility that enabled him to provide dental services accompanied with Deep Sedation and General Anesthesia. He is dedicated to serving individuals with dental phobias; gag reflexes, the inability to become numb, medical, mental or physical disabilities, as well as young children unable to cooperate. Twenty five years of experience combining sleep dentistry and cutting-edge technology have enabled me to help my patients overcome fear, trust and health issues that prevent them from seeking dental care. 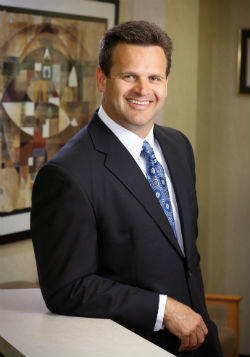 He received the Missouri Dental Association’s highest honor, he was named 2012 Dentist of the Year! Dr. Michael Hoffmann, a general dentist, and board-certified dental anesthesiologist in St. Louis was named the 2012 Missouri Dental Association (MDA) Dentist of the Year for his leadership, passion and outstanding service to the dental profession. 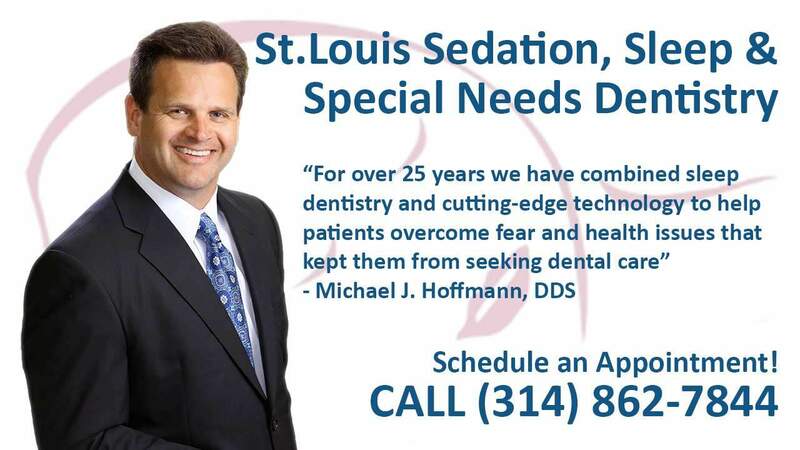 Dr. Hoffmann is an esteemed member and 2005 past president of the Greater St. Louis Dental Society (GSLDS) and has been a vigorous supporter of organized dentistry for 23 years. He is currently a member of the Greater St. Louis Dental Society Board of Directors; serves as Vendor Relations Chair of GSLDS Council on Scientific Sessions; is President of the Society’s Central District; is a member of the GSLDS Leadership Membership Committee; participated at the ADA Recruitment & Retention Meeting where GSLDS was awarded the Best Practice Award, and helped develop and implement the Dental Society’s Recycle Event, SIU Recruitment Event and Practice Match Up Event. Dr. Hoffmann has demonstrated outstanding service to the dental profession with his active role in educating colleagues as well as staff. He conducts Nitrous classes at Forest Park Community College, teaches Sedation Assistant courses and lectures on Anesthesia and Sedation. Dr. Hoffmann has worked diligently to improve the sedation regulations for the profession. 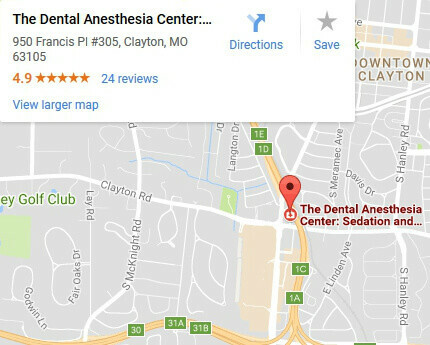 He reviewed over 85 sedation cases for renewal of sedation permits for Missouri dentists, consulted with the Missouri Dental Board on sedation issues and consulted with the Missouri Attorney General’s office on dental issues. Dr. Hoffmann is an active participant in community service by participating in Give Kids a Smile’s Smile Factory that provides dental care for needy children under general anesthesia; the Donated Dental Services program and Upward Smiles at St. Francis Health Department.